St. Martin's Press, 9781250107886, 336pp. An innocent night of fun takes a shocking turn in Not That I Could Tell, the next page-turner from Jessica Strawser, author of Almost Missed You. "In NOT THAT I COULD TELL, Strawser tackles the secrets of suburbia, domestic abuse, and friendship in a gripping story about a neighboring family gone missing. The characters are unique, engaging, and relatable and the ending is both surprising and poignant. 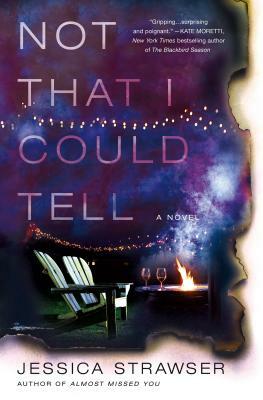 Fans of Liane Moriarty will adore Jessica Strawser; she’s a huge talent!" —Kate Moretti, New York Times bestselling author of THE BLACKBIRD SEASON.